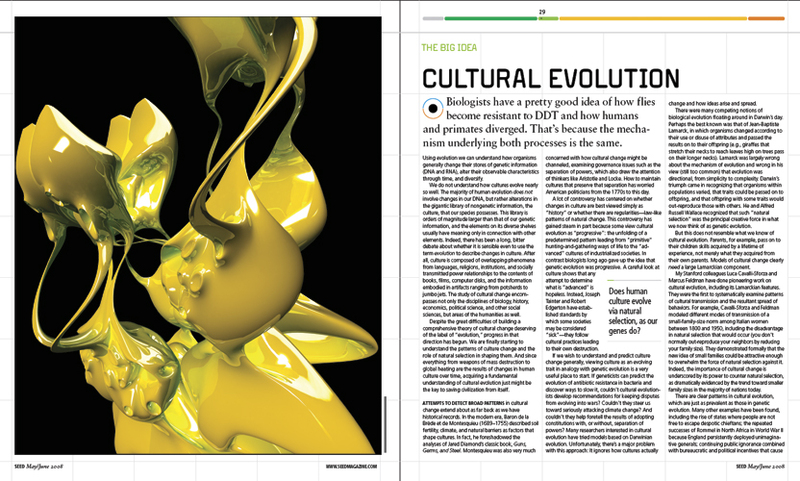 Jeffrey Docherty, Art Director at Seed Magazine, commissioned Commonwealth to illustrate an article titled: 'Cultural Evolution: Does human culture evolve via natural selection, as our genes do?' Included here are two alternatives. 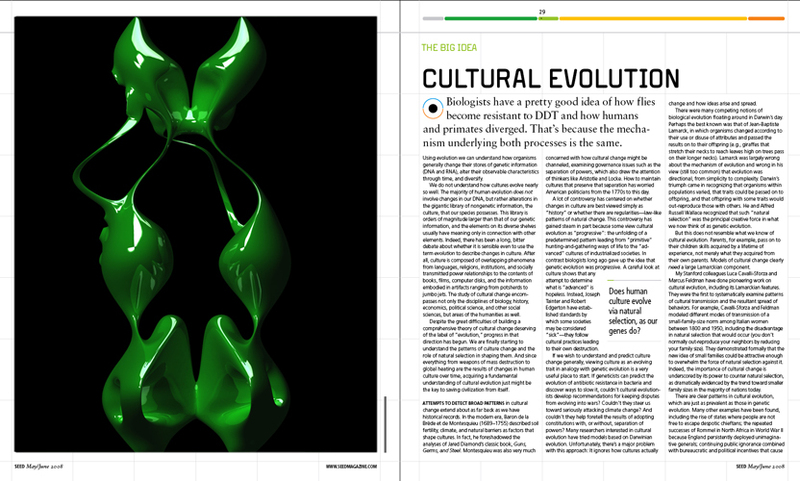 The green one, which we liked best, didn't look as strong when converted from to CMYK for print. In the end, the yellow one made the magazine. While this isn't exactly press, about Commonwealth, as the other press entries are, we wanted to include this work since Seed is one of our favorite magazines, and Jeffery is definitely one of our favorite Art Directors. 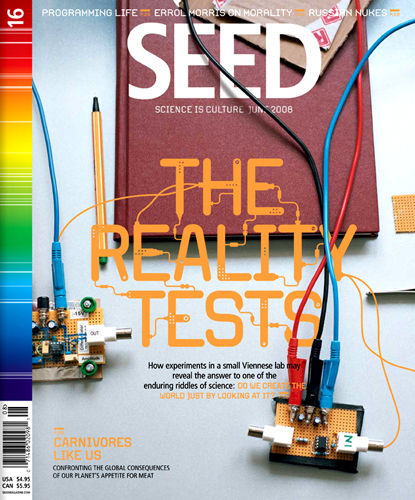 Seed Magazine'Cultural Evolution' by Paul Ehrlich.